Introduction to Practical Philosophy - Nightcourses.com, Ireland. The School of Philosophy & Economic Science run this Introduction To Practical Philosophy across 24 locations in Ireland and Northern Ireland. Have you ever wanted to lead a happier, more peaceful and more contented life? In this 10 week course you will find useful, practical tools that increase your happiness, reduce feelings of stress and give you new and fresh ways of looking at life that will add meaning and joy to everyday experiences. The Introductory Course offers an entirely practical approach to the study and practice of philosophical principles. The course is for everyone regardless of race, education, occupation, age, culture and religion. No prior knowledge is needed – simply a desire to examine life and enjoy it more fully. Career Path There is no career path following this course as it consists of non academic practical application of useful philosophical ideas. Our introductory course in practical philosophy draws on the great teachers of the world, for peace of mind, enjoyment and proven ways to reduce stress. 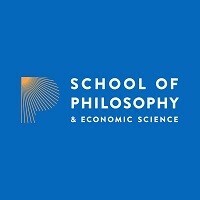 For information about School of Philosophy & Economic Science, please visit our college page on www.nightcourses.com by clicking here.